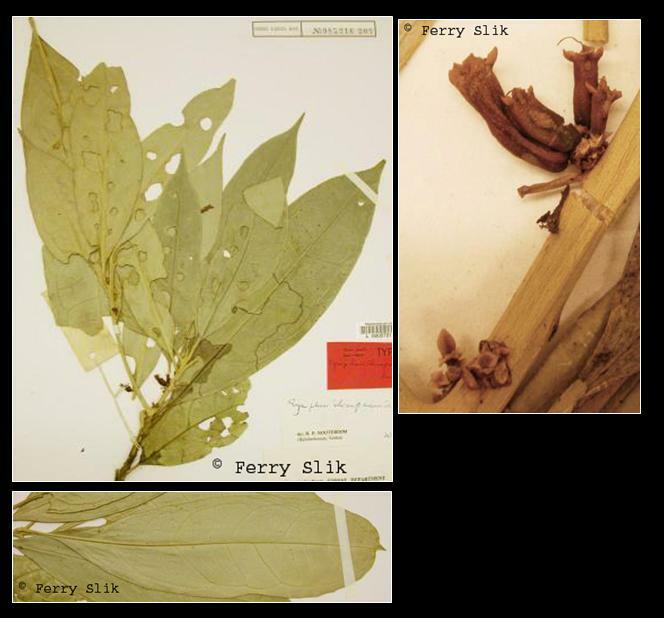 Named after Ilias Paie, a plant collector of the Sarawak Herbarium. Very similar to Symplocos costatifructa and possibly a synonym of that species. Sub-canopy tree up to 21 m tall and 45 cm dbh. Stipules absent. Leaves alternate, simple, penni-veined, glabrous, margin entire to slightly toothed. Flowers ca. 10 mm diameter, white-yellow, placed in bundles or short racemes. Fruits ca. 13 mm long (immature), whitish, drupes. In undisturbed mixed dipterocarp forest up to 300 m altitude. On hillsides with sandy soils. In secondary forests usually present as a pre-disturbance remnant. Borneo (Sarawak, Brunei, Sabah and East-Kalimantan).